While training for a marathon early in the morning and late at night, Amy Robbins wanted to have a defense tool on her body while on her runs to feel safe. 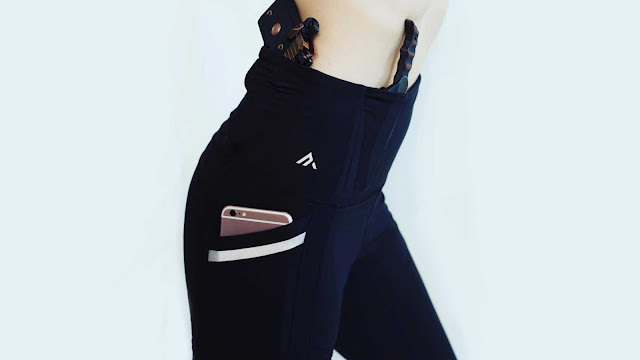 With the lack of available women’s athletic wear that allows for both a workout and pockets for self-defense tools, Robbins decided to make her own and created Alexo Athletica. Robbins said when she was thinking of a name for her clothing line, she wanted something that represented strong women, leading her to use the Greek word "Alexo," which her website says mean to “defend and to help.” She also pointed out that the alliteration of the two "A’s" symbolizes the Second Amendment, which is also seen in her logo. According to Robbins, 47 million women carry some sort of self-defense tool on their body at all times. Alexo Athletica exists mostly online but the company plans to work closely with retailers in the future, including gun ranges and gyms. Robbins said she and her husband run the company together. Their “Signature Pant” with nine pockets has been a big hit. Robbins said the pockets fit different types of self-defense tools — not just firearms. “We sell out every time we restock,” she said. “We are taking backorders to help us know how much to order. We know we will sell out again, but I want to make sure everyone who wants a pair gets a pair.” Alexo Athletica also sells jackets and shirts. The pants have been sported by influential women, including Fox News contributor Tomi Lahren.